Building a Backyard Chicken Coop can become a family affair in a couple of minutes and trust me; you may enjoy raising these small creatures. What other creature can you home in your backyard that provides you with eggs, entertainment, opossum control and hours of amusement? At this time you are obviously considering building a hen house and are just looking for a little extra push or chance those last minute pointers. I congratulate you for choosing to build one as apposed to purchase one. Most individuals think buying one is the faster, simpler choice, when actually it’s really not. Even the pre-made built ones have to be put together, and that in itself is always a project, as most of us know, only reading the instructions can cause high blood pressure. Not to mention with a house build coop you have more choices, more liberty and the ability to design it around your needs. That being said I will stop wasting your time and provide you the low down on what you must consider before getting out your tools and buying some pet poultry. Build it larger than you think you’re going to need. 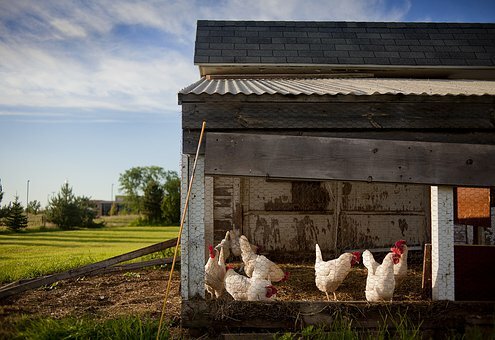 Keep in mind, with a little additional effort in the beginning stages of building your hen house you may make your backyard coop a simpler to maintain, low stress and much more peaceful atmosphere for your pet poultry. Also know that the more relaxing and more peaceful environment you construct for the chickens, the fitter the birds, and healthy birds means more healthier, bigger egg yield. Happy egg laying and great luck!